What if life is a dream? An illusion? Or a good old story? If you pinch yourself and it hurts, does that prove that you are not dreaming? Can we trust our senses? If our eyes sometimes trick us, might they always trick us? How do we know that the world is as we perceive it and not as a fly or a dog sees it? Topics: Reality, Imagination, Dream, Memory, The Senses, Perception, Fiction/Reality, Real/Pretend, reliable information, Real/Virtual, Philosophy for Children. Genre: Inquiry Literature, Philosophy-fiction (phi-fi). More than 100 carefully worded questions designed to spark a rich and well-oriented reflection without leading it to pre-established conclusions. 3 blank cards for readers to design their own philosophical scenes and pose their own questions. Brief guide for children and adults. 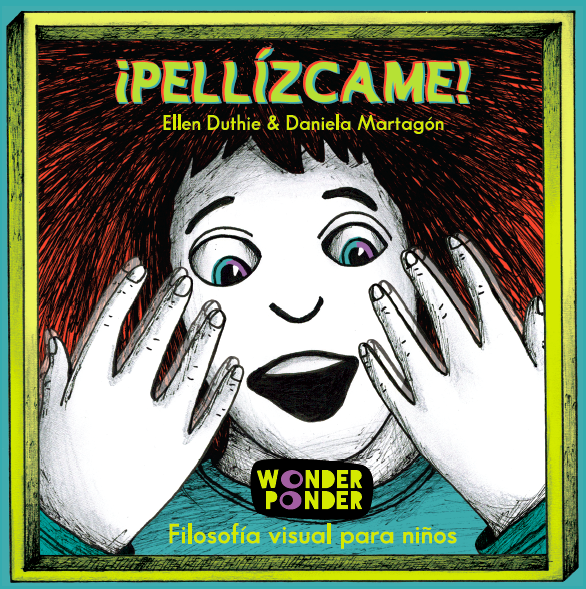 Ideas for wonderpondering. Suggestions for use. 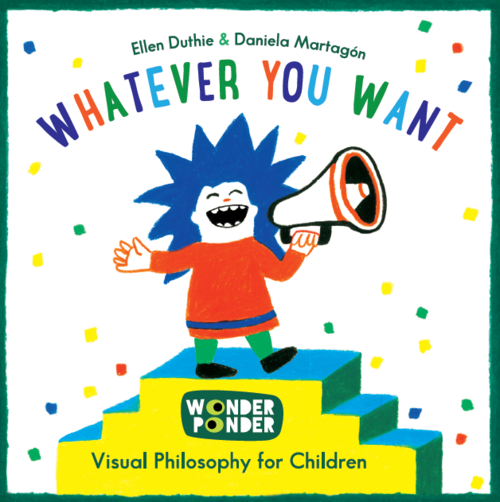 Wonder Ponder introduces readers to philosophy’s big questions in a way that is playful and appealing. 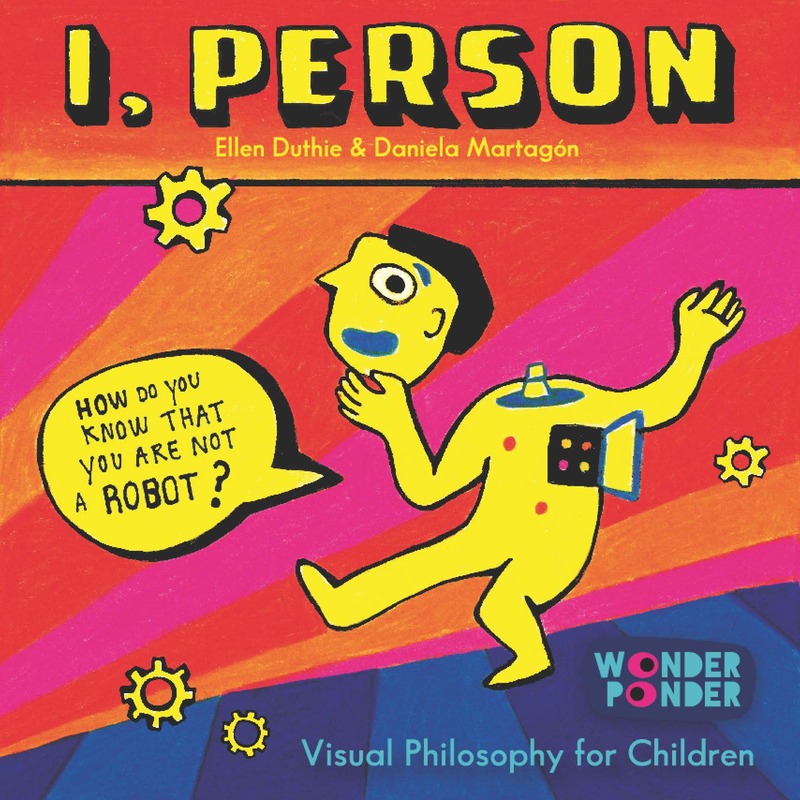 Engaging scenes and intriguing questions prompt reflection and discussion, encouraging children to develop their own thoughts and arguments and to build a visual and conceptual map of the issue addressed in each box. 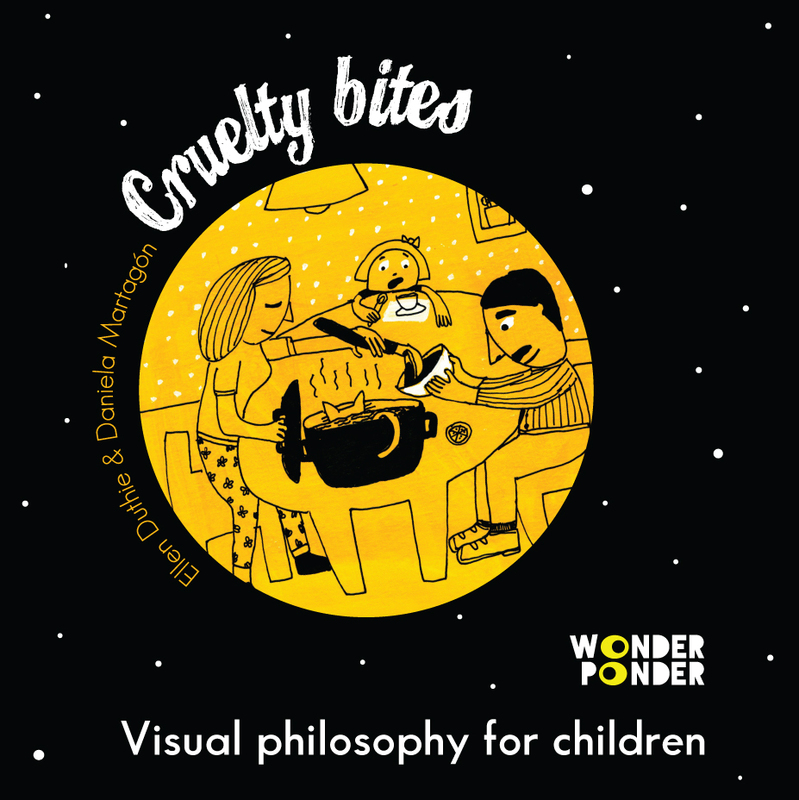 Wonder Ponder’s playful and thought-provoking titles bring the brain-bending experience of philosophical thinking into the school, playground and home. Anna Ridley, The Look Book, Editor for Tate Publishing (kids) and Thames Hudson. An innovative proposal that opens up dialogue as a form of knowledge and helps us delve into the mysteries that make us who we are. (…) A must-read. El Cultural, El Mundo.